German bakery serving buns, breads, pastries and other doughy goods. 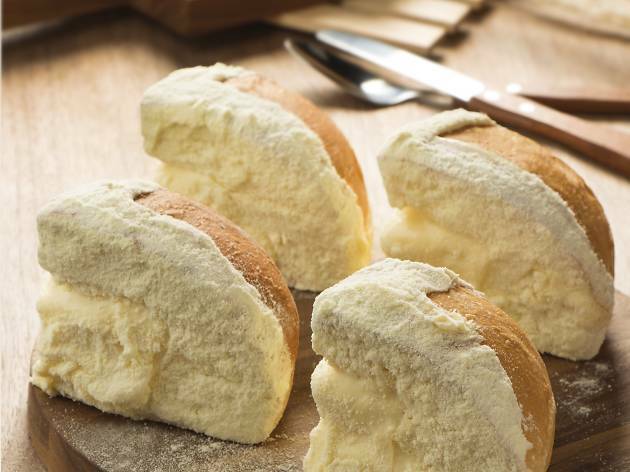 This German takeaway bakery serves up fresh toasted buns, artisanal breads, pastries and other delights. 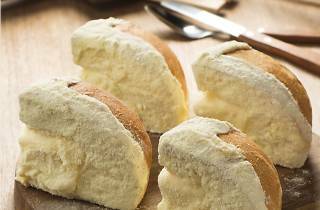 The star of the show is the Austrian cheese bun stuffed with cream cheese.